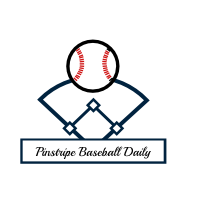 Your immediate source for all things baseball and the New York Yankees! The Yankees are scheduled to start AA prospect Jonathan Loaisiga on Friday at home against Tampa Bay in place of Masahiro Tanaka who is currently on the DL with two strained hamstrings. There is a lot to unpack here; Loaisiga was recently promoted to AA-Trenton after starting the season in High-A Tampa, and only started six games before getting the call to help the major league club. That type of progression doesn’t happen often, but it seems as though the Yankees have a lot of faith in what they have seen from him so far this season. But what contributed to such a large jump through the Yankees system in such a short time? Why did the Yankees turn to Loaisiga rather than highly regarded prospects Justus Sheffield and Chance Adams? Here are Jonathan Loaisiga’s stats in ten starts so far this season: 45 innings pitched, 58 strike outs, 4(!!!!) walks, 3.00 ERA. This guy is literally walking someone every 11 innings, that is elite command. Many young pitchers struggle with control throughout their experiences in the minors and rely mainly on their stuff to get them out of situations, but Loaisiga uses his control of the strike zone to have success which translates well to the majors. Loaisiga was originally signed by the San Francisco Giants out of Nicaragua back in 2012, and dealt with a few arm issues that led to him being released by the team in 2015. The Yankees took a flier on him and so far he has shown his upside. The Yankees seem to like his make up, and that comes from the adversity he has faced in his career. “We feel like he’ll come up here and won’t be overwhelmed by pitching here at Yankee Stadium and the big leagues.” Aaron Boone told the New York Post, which is paramount if a player is to succeed in New York. Battling back from arm issues is never easy and can break down a young pitcher, but he has shown the ability to bounce back and trust his stuff in the minors by attacking hitters. His strong suit on the mound is his control, but Loaisiga also has plus stuff on the mound. His fastball tops out at 98-mph and has an above average curve ball that sits around mid-to-low 80’s. While it may not be 100 mph on the radar gun, the young prospect sits comfortably within the mid-90’s. He also features what scouts call an “average changeup” that sits in the high-80’s that has decent movement. This might be the most important part, he is on the 40-man roster. In baseball, teams are allowed to have a 40 players on their roster from which they can move on and off of the 25-man major league roster. So if you are a minor league player, as long as you are on the 40-man roster, the team is allowed to call you up by making room on the big league roster. So with Loaisiga being on the 40-man, the Yankees do not need to take any players off of their roster; making this an easy move to make. Justus Sheffield and Chance Adams are in AAA-Scranton, but are not actually on the 40-man roster so the team would have to release a player in order to call them up to the major leagues, which the Yankees want to try to avoid.